The Tuscan Archipelago is an area of very interesting navigation, little challenging with many beautiful bays in the short distance between them. It is an area rich in bays where you can always find protection in the event of adverse weather conditions. Recommend this itinerary for 7 to 10 days. Boarding and disembarkation in Finale Ligure or from Marina di San Vincenzo. 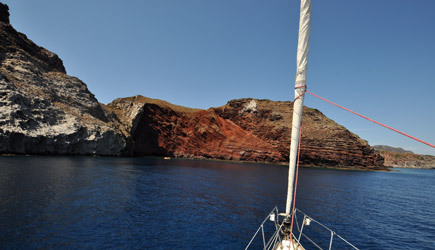 In a week sailing in the Tuscan islands we will sail from Liguria to go exploring the coast of the Island of Elba, Capraia and the island of Giglio. Sunday evening, boarding in Finale Ligure (free parking inside the port). 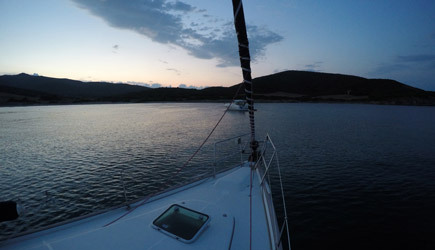 Departure for night navigation toward Elba Island. 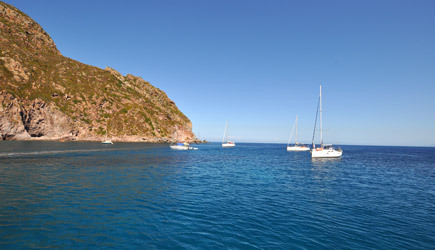 Depending on the length of the holidaywe will dedicate a few days to circumnavigate the island of Elba, taking advantage of the summer breezes for sailing and anchoring in the many coves for swimming and relaxing. Returning to the north the next day we will stop at the suggestive Formiche di Grosseto, islands small and deserted in the middle of the Tuscan archipelago. The snorkeling here is very interesting. 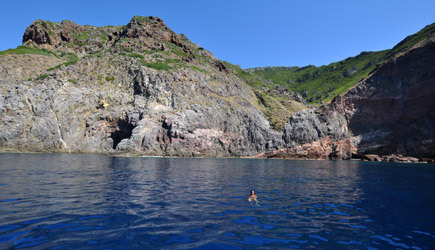 After exploring the other side of Elba we will sail toward Capraia that offers clear waters and a wild landscape. The country is an extremely quiet place, still tied to island life. To return to Finale Ligure there is a further night cruise departing from the island of Capraia. If you decide for boarding and disembarkation from the port of "Marina di San Vincenzo" would avoid both night navigation.